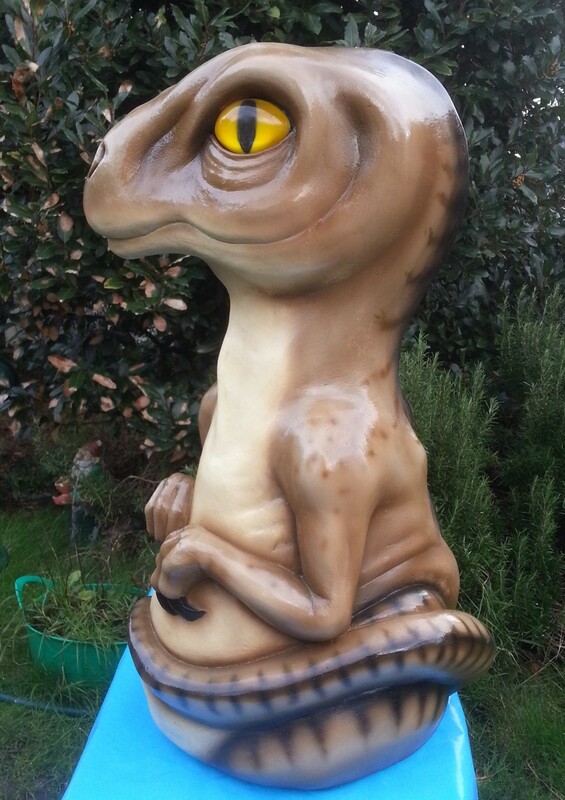 Glassfibre Baby Dinosaur Moulding with clear resin light up eyes. 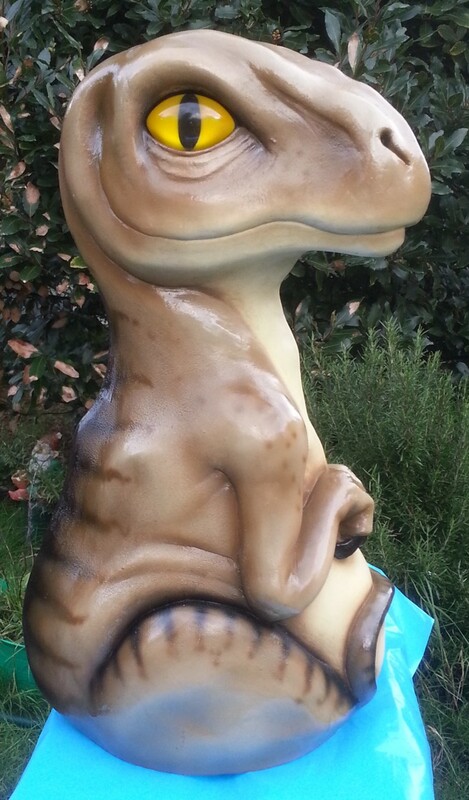 This baby dinosaur moulding sits in a broken egg atop a Jurassic Park Penny Pusher arcade machine. As it turns the eyes light up and the egg glows and changes colour. 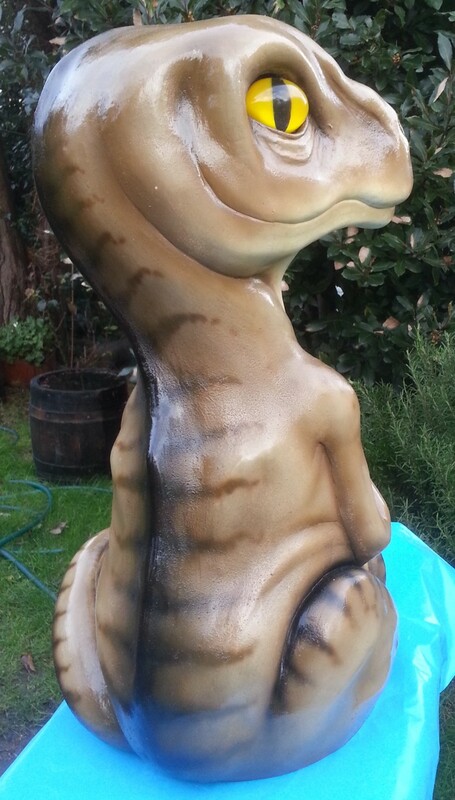 The client asked me to sculpt this baby dinosaur by copying the design from a small Jurassic Park model I was given. I was asked to make changes to make the dinosaur as cute and family friendly as possible. They asked me especially not to give the baby any teeth that would make him scary and frighten young children. To make the mould I applied flexible silicone over the sculpture. When cured I then covered this with a glass fibre two-piece jacket. The sculpture was removed and the mould prepared ready to use. To make each piece I first applied one coat of gel and subsequently one reinforcing layer of glass fibre. Each moulded piece was allowed to cure, then removed from the mould. I then prepared the moulding and made it ready to spray paint, removing seam lines, excess material and any irregularities. After drilling out eye holes and bolt holes the moulding was ready to paint. Firstly I applied an undercoat all over, then three more colours after finishing with a final coat of lacquer. The eyes I cast using a clear resin in a separate mould.